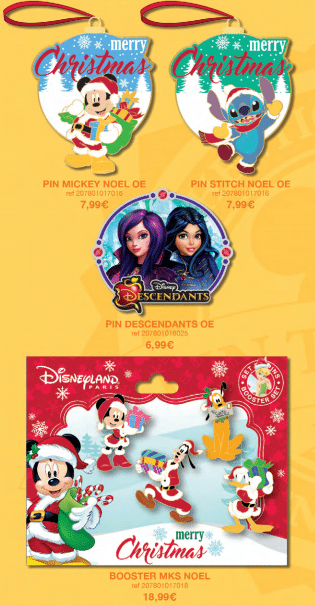 Disneyland Paris released a new poster with the pins that will become available in August. Christmas is getting near so some pins are already Christmas themed. And two pins are limited editions. 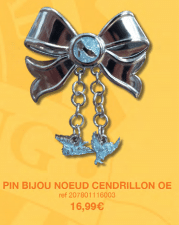 August also features a Pin Trading event. The first release in August takes place on Saturday August 6th. Two pins and one pin set are Christmas Themed. The set contains Donald Duck, Goofy, Pluto and Mickey Mouse, all ready for Christmas. The two Christmas pins feature Mickey Mouse (different from the set) and Stitch. The other pin is from Disney’s Descendants. 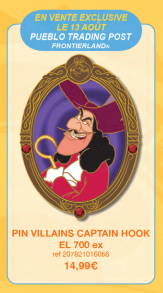 The first limited edition pin release for August is with Captain Hook. The pin is part of the Villain set. 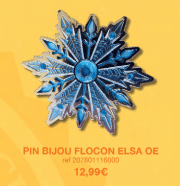 This limited edition (LE) only holds 700 pins and will be exclusively sold at the Pueblo Trading Post in Frontierland. And only on August 13th. 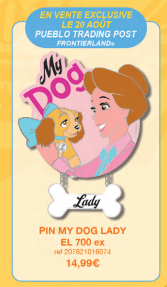 The second limited edition pin is Lady of Lady and the Tramp. It features Lady with Elizabeth “Darling” Brown. A small dog bone with Lady is attached to the bottom of the pin. The pin is limited to a quantity of 700 and will only be sold on August 20th at the Pueblo Trading Post. The last Saturday in August has a release of three pins. No limited editions. One pin features Minnie Mouse, the second pin a ice crystal as made by Elsa (Frozen) and the third pin shows Princess jewelry and the birds from Cinderella. The next Pin Trading Event at Disneyland Paris takes place on Friday August 26th at Disney’s Hotel New York. The event starts at 18hrs. These events are for new traders but also guests that have been trading for years. 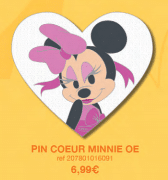 For more Pin Trading, look at the Disneyland Paris Pin Trading page.